Discover perfect paper piecing with Simple Foundations! Introducing a translucent foundation for paper piecing that just may change your life! 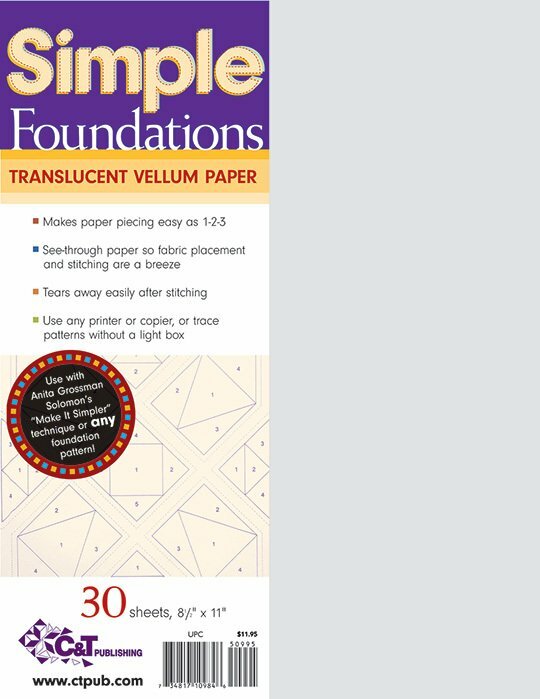 See-through "Simple Foundations" paper will make all your paper-piecing projects simple to prepare and stitch. • Use with any photocopier, inkjet, or laser printer, or trace patterns without a light box - the design shows through the paper!